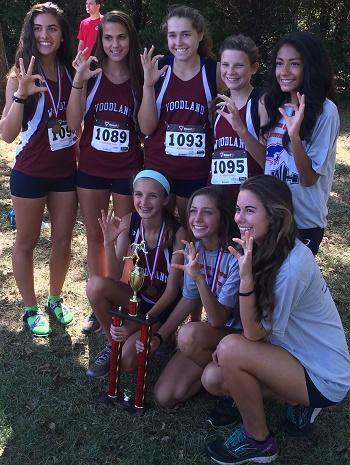 With the addition of 3 freshman, Woodland has become a contender for the state championship. They weren't quite as sharp at region as they had been earlier in the season. How will the hills of Carrollton affect them? A case could be made to rank McIntosh #1. They blazed the Heritage Church course for a sub 20 average. If they run that well at State, they very well could be the state champs. Starrs Mill moves up and looks to be a near lock on the podium. The next 3 teams are very tightly bunched and could have been ranked in any order from 4-6.Union Grove was an All-Class top 10 team until an injury derailed their #1's season as Kaylee Haake was a favorite for the Individual title. Can her Wolverine team mates podium without her? 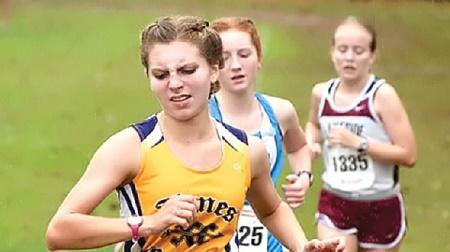 Year in and year out, no one peaks as well for the state meet as the Flowery Branch squads. They are rounding into that form and should be a Podium contender Saturday. Decatur hasn't always run with their full squad, but looked very fast at region. They are another team that is fighting for a podium spot. It is going to take an extraordinary effort from Grady, Riverwood, Whitewater or Chamblee to make the podium, but all 4 ran very well at their region meets. Jones County and North Springs are 2 teams that have top 10 aspirations. 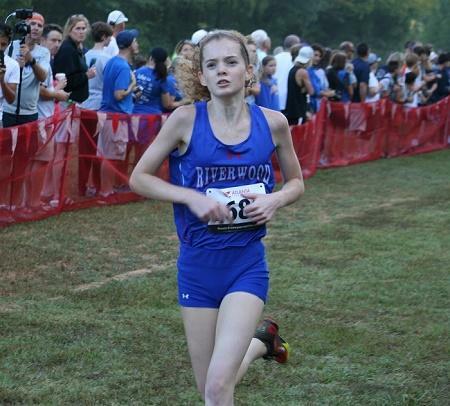 Individuals in the hunt for a state championship begin with Elizabeth Graves of Riverwood and Erin Leonard of Jones County. 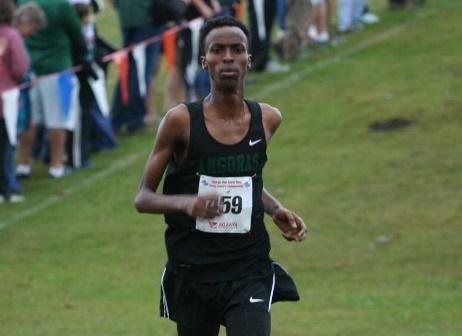 Leonard blistered the Heritage Church course to record an all-time top 10 course time at the Region 4-AAAAA meet. She is peaking at the right time. Megan Uszynski of McIntosh, Haley Rose of Decatur and Erika Plummer of Flowery Branch will challenge for the Individial state title. Not far behind the top girls, should be Mckenzie Cromer and Tori Rives of Union Grove, Carli Clymer and Angela Cochran of Woodland and Mary Valli and Megan Dobso of Starr's Mill. Clarkston is a favorite to repeat as the defending State Champ, and are definitely the team to beat. Their pack running is best in class and some of the best in the state. Had a 21 second split 1-5 in winning their Region. They've only lost to one 5A team all year. Union Grove should give the Angoras a strong challenge. UG had a :23 second 1-5 split in their Region Championship win. The Wolverines also happen to be the only 5A school to beat Clarkston head to head this season back at the Starrs Mill Panther Invite. Starrs Mill is one of three very close teams that will be chasing the Angola's for the State Championship on Saturday. They have two of the best front runners in the class with Nyman and Fultz. Much like Starrs Mill and Union Grove, Whitewater will be in the title contention. A close Region Runner-up to Starrs Mill may leave them with some unfinished business this Saturday. How close can their pack get to front runner Harry Harp? Aside from Clarkston, Flowery Branch has one of the best records on the Carrollton course when it counts in November. You can never count them out of podium contention. Eagle's Landing's top 3 can run with anyone in the classification. Can their 4-5 runners give them what they need to take a podium spot? Could be a close battle for the final podium spot. McIntosh has a very solid top two that will lead the Chiefs into the top 10. How deep into the top 10 will depend on their pack. Host Carrollton has had an outstanding season that included a Region Championship. They are primed to show their fans that they are more than just football at CHS. 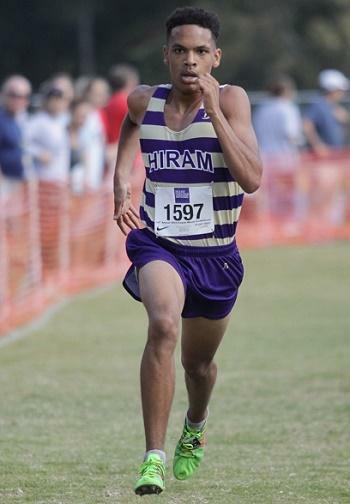 An unfortunate injury to one of their top 3 runners will probably keep Hiram from a podium spot, but they can still achieve a top 10 finish. Pyrnneou is in contention for an individual state title. Johnson HS, led by Isacc Hernandez is ready to charge into the top 10. The race for the Individual title is difficult to gague looking at how top runners faired at Region compared to their season prs. 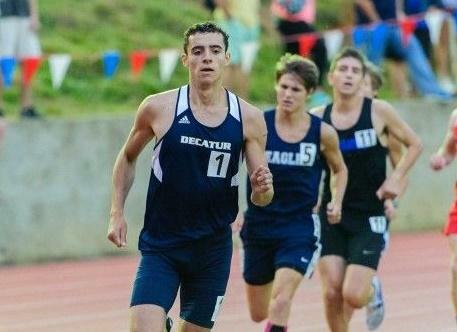 Sam Ellis of Decatur may have the advantage with his strength, experience and 800m speed. If one looks at the next 5 fastest guys, their prs came on the quick Heritage Christian Church course mostly at Region, though in windy conditions. This includes Nick Nyman of Starrs Mill, Harry Harp of Whitewater, Vladimir Zander-Velloso of McIntosh and Deonte Lee of Morrow (At&t Panther meet) A darkhorse, that should seriously be watched is Audrick Pyronneua from Hiram. He had great race at Wingfoot XC Classic going 16:17 and was ROW multiple times. Issac Hernandez of Johnson HS is not to be counted out as he has dominated in NE Georgia this Fall.